A frequent user of Outlook would indeed understand the great impact its advent has made in terms of professional email communication. 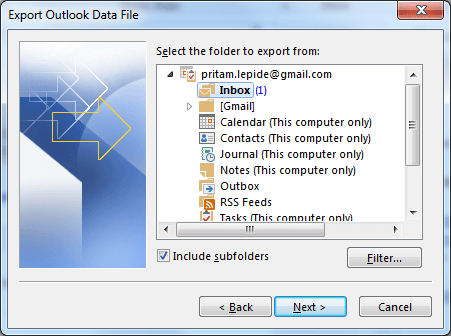 Microsoft Office’s Outlook has developed itself over the years, making it very user-specific with its advanced features. 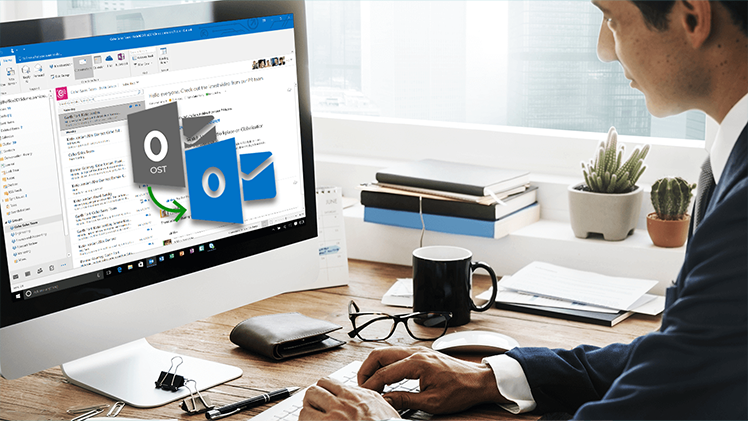 Each version of the Outlook has something new as a feature. Some recent versions are 2016, 2013, 2010. 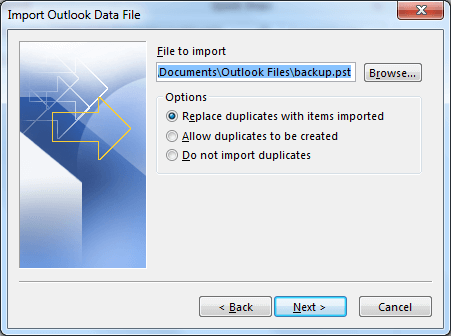 An Outlook user would be aware of the presence of .OST and .PST files that are associated with the Outlook. However, while many might be acquainted with these terms, they might not be aware of what they are and what their importance is. The following discourse is to inform the readers about what OST Files are, how they are to be converted to PST files and so on. OST Files- What it is & What it does! You can write new emails. Once you’ve connected with the Exchange server, it automatically starts sending as well as receiving all emails that are pending. Additionally, OST files enable you to recover the lost mailboxes (in case of any damage that might have occurred to the Exchange Server or in case the server is down). OST file is a replica of the mailbox lying on the Exchange Server. This OST File is stored at the hard drive of your computer. Consequently, the damage done to the Exchange Server has no adverse effects on an OST file which is saved at the hard drive. In the following passage below, there is a short brief provided for your reference, on the advantages or benefits of OST file. With your OST file, you can keep your email data safe even in case the server gets crashed and in case of an Exchange problem. Secondly, when your exchange database is corrupt and has reached a stage beyond the possibility of recovery. Again, it is here that you need the .OST files because you can recover data from the OST files which are stored on your hard drive. Finally, you might have certain emails that are of great importance to you, but you can’t access them due to the absence of the network. Again, in this case, these files come in handy. These are the important benefits of the .OST files. But one may question if these files can be directly opened. The answer in a word would be “no”. 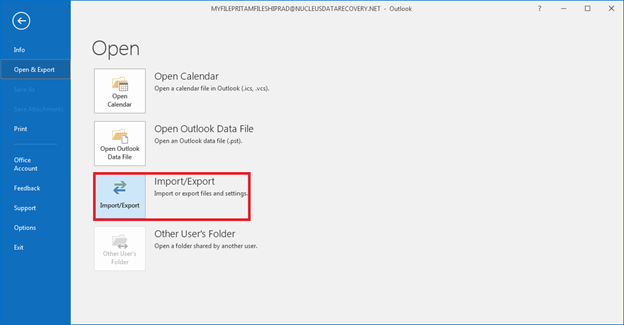 To explain why not, the write-up seeks to elaborate on this matter and to provide you with a step-by-step guide to help you open OST Files in Outlook Version 2016. If you want to open an OST file directly on another machine, you can’t since it can be accessed with the account that had created it. In this case, there are two ways you may be able to open the OST files. The first being manual and second mechanical by using an OST Viewer tool. 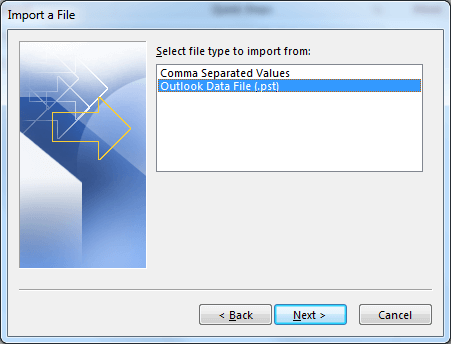 ‘Create File Type’ by selecting Outlook Data File (.PST). Click Next. Select the folder to export from. Click Next. Select ‘Allow Duplicate Options to be Created’. Click Finish. Enter Password to protect the file. Click Ok.
Now, Sign on to another computer. Open Outlook. Click on File> Open & Export> Import/Export. Select file type to import from. Click Next. Click Browse to select File to Import. Click Next. After this, again repeat the ending steps as given above during the Export processes. If these steps don’t turn out for the good, you’ll need a more mechanical aide in the form of a PST Viewer. If you are wondering ‘why?’ There are several reasons to why you need a OST Viewer, some of which are illustrated in the paragraph below. The OST Viewer easily allows you to open as well as read those OST files that are corrupted. Unlike the manual method, you do not need to be connected with MS Exchange Server. An OST viewer can retrieve those items that might have been deleted accidentally. These tools are easily downloadable and easily operational. 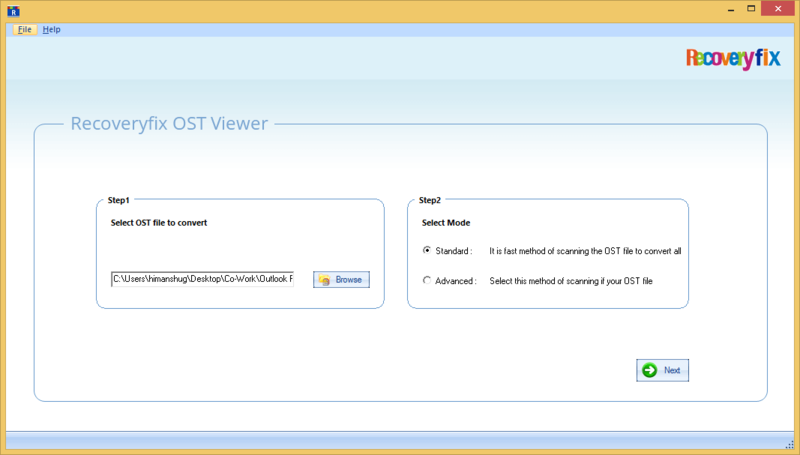 An OST Viewer is compatible with all versions of MS Outlook. If you are looking for all these benefits in a single OST Viewer, RecoveryFix OST Viewer; a name that out shines all others. Browse and select the OST File you wish to convert. Select Mode and click Next. 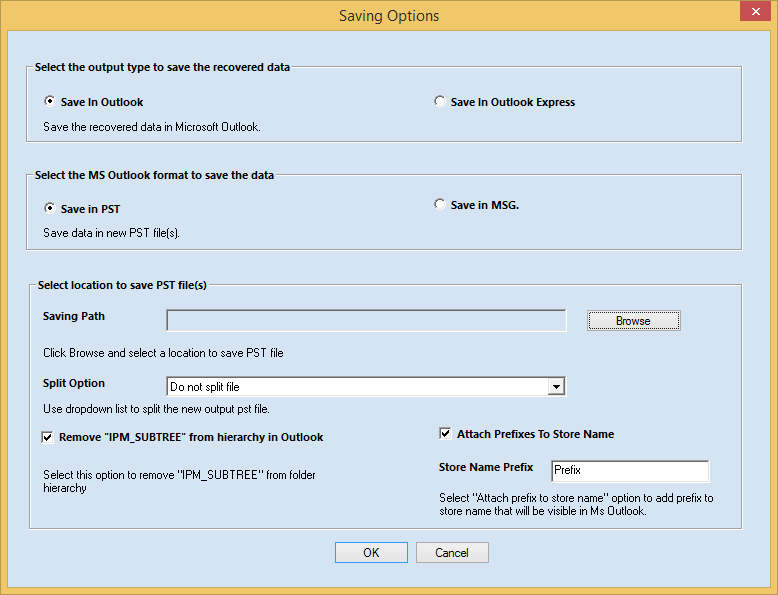 Convert the OST file to PST (Select either whole of the mailbox or the folder(s) you wish to save.). Click Save. 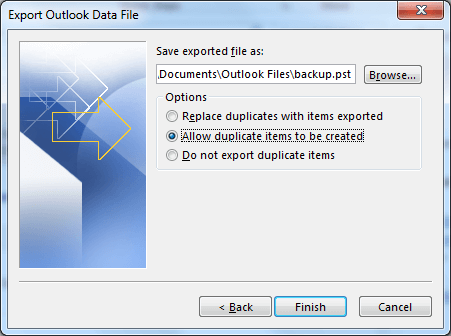 Select ‘Save in Outlook’ and browse the location where you wish to save the file. Browse to select the Saving Path. Click OK. 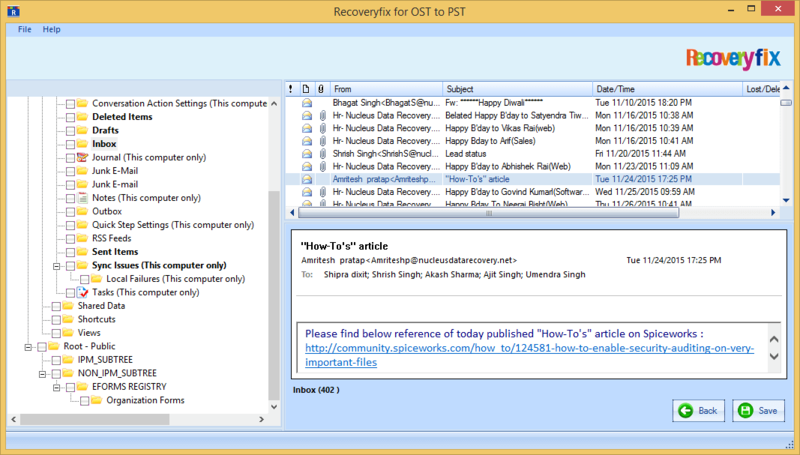 This way Recoveryfix OST Viewer helps you to convert your OST Files to PST. If you’re facing a sudden crash on the Exchange server or you need a backup of the Exchange data, make sure you use the right technique to Convert OST to PST. The best and the easiest would be to use an OST Viewer tool.